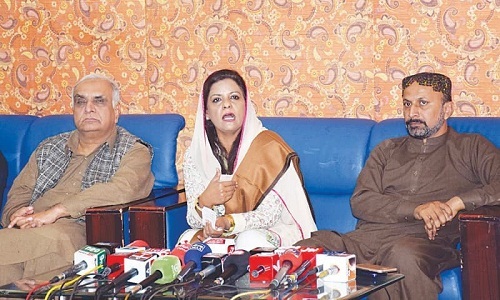 Islamabad: Secretary Information Pakistan People’s Party Parliamentarians Dr Nafisa Shah Thursday said Prime Minister Imran Khan was harming the democracy. In a statement she said if all the characters in Asghar Khan case were exposed “then it will mean that all those will also be exposed who conspired against Benazir Bhutto and still their followers are busy conspiring against PPP and its leadership.” Shah said that the nation has no trust in the Federal Investigation Agency (FIA) as it is under a prime minister who had also been a ‘conspirator’ in the past against Benazir Bhutto. “People like the puppet PM is harming democracy and giving democracy a bad name,” he added. Dr Shah said that the PPP was targeted because it believes in the power of people and will continue to do so. 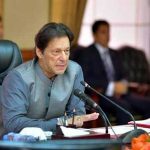 She demanded that the interview of Abdus Sattar Eidhi should also be made part of inquiry of Asghar Khan Case in which he said that General Hameed Gul and Imran Khan were blackmailing him to become part of conspiracy against Benazir Bhutto. She said that it was ironic that the case which should be heard in Karachi is being heard in Rawalpindi. PPP has always been a target of injustices, she concluded.